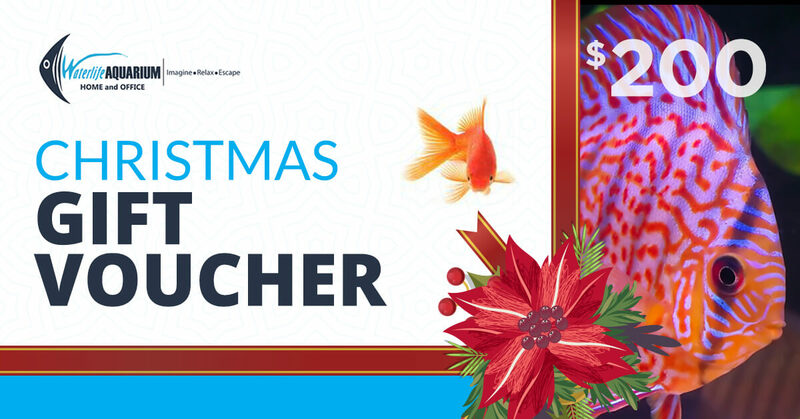 Whoever you’re shopping for this Christmas season, Waterlife Aquarium Christmas Gift Voucher is always a perfect idea. The unique code that comes with the voucher is redeemable only at our store and only until the end of January 2020. Please keep track of the code delivered via email and keep it secure. The code can only be used for the purchase of products and services at Waterlife Aquarium. If the purchase amount exceeds the balance, the excess can be paid using another payment method. Nonrefundable nor redeemable for cash and cannot be used in conjunction with any other coupon or discount.